Salt Lake City isn’t your usual cookie-cutter town. Founded by the Mormon pioneer Brigham Young in the mid-19th century, it sits in a valley in Utah and was settled by a mere 148 members of the Church of Latter-Day Saints. Today it’s a thriving metropolis – known for its laidback, hipster vibe – where the church still plays a very prominent part (around half the population are Mormons). Winter sports are huge too, thanks to world-class ski resorts that were showcased during Salt Lake’s successful staging of the 2002 Winter Olympics. Alongside this, though, there are a whole host of quirky and unusual things to see that are far from the tourist norm. We’ve put together a selection of some of the must-see spots in Salt Lake City. The settling of Salt Lake City is a story ingrained in its inhabitants from an early age, and celebrated across the city. However, the Pioneer Memorial Museum is the perfect place to delve into the reality of what it was like to trek through the perils of the wilderness to start a new life. 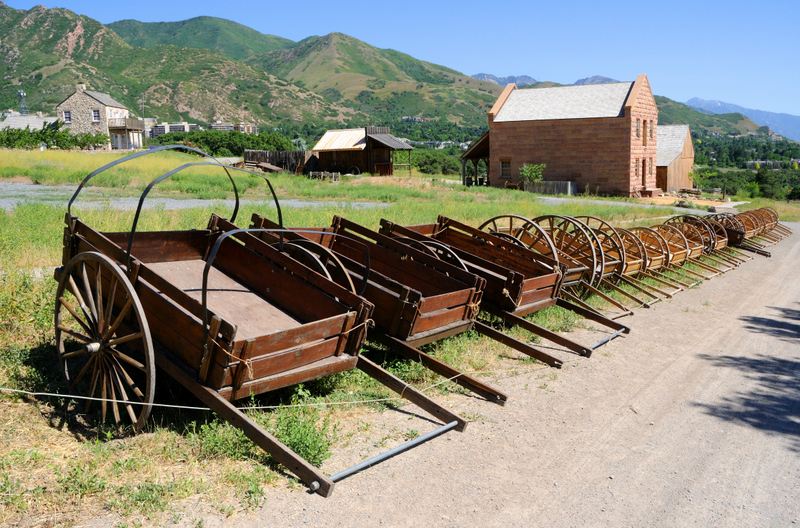 Run by ISDUP – the International Society for the Daughters of Utah Pioneers – the museum commemorates the hardships the pioneers suffered through a strikingly offbeat collection of artefacts. Some items are standard museum fare – clothes and guns from the time, along with personal effects – but there’s plenty to surprise as well. A bottle half-full with teeth, machines for the medical practice of bleeding, art made from hair, frightening dental tools and, courtesy of a woman called Hilda, a collection of rattles from rattlesnakes she killed along the trail. It makes for macabre but fascinating stuff. The Mormon faith isn’t the only religion in town. Followers of Summum derive much of their mythology from ancient Egypt – including the practice of mummification. Summum was founded by a man called Claude Nowell (known as Corky), who changed his name to Summum Bonum Amon Ra, with the founding of the religion. Their pyramid, built between 1977 and 1979, stands around eight metres tall on the corner of Genesee Avenue and South 700 West. You may be sceptical of the exact frequencies the church claims the quartz crystals in the apex are attuned to, but it’s still a fascinating glimpse into life beyond the Mormons. Perhaps a little surprisingly given its history, Salt Lake is fast becoming one of the most hipster spots on the planet. For a taste of this, head to the Sugar House district. One of the oldest corners of the city and once home to Utah’s first state prison, you’ll find an array of eclectic boutiques, bookshops and art galleries along its sycamore-lined streets. There’s a buzz to the nightlife too, with cool bars and arguably the city’s best barbecue joint - Sugar House Barbecue. This popular spot serves up Memphis-style barbecue that’s all about the dry rub, with a special blend of spices rubbed into the meat before it’s slow smoked for several hours. Try slab of the signature pork spare ribs and finish with the moreish pecan pie. At the heart of the district is the 110-acre Sugar House Park complete with biking trails, lakes and forest walks set against the backdrop of the stunning Wasatch Mountains. In the mood for a ‘visionary art environment’ in the form of a garden full of unique, weird and wonderful sculpture? Look no further than the Gilgal Sculpture Garden. Created by Thomas Battersby Child Jr in the mid-20th century, it’s a place meant to provoke thought and contemplation. A man of deep religious belief – he was a bishop for 19 years – Child was prepared to be thought of as strange just as long as he provided a place that made people ask questions. The dozen sculptures certainly do that, with highlights including the scattered giant of Nebuchadnezzar’s Dream, a monument to peace and a statue of Child himself, with trousers made from bricks. 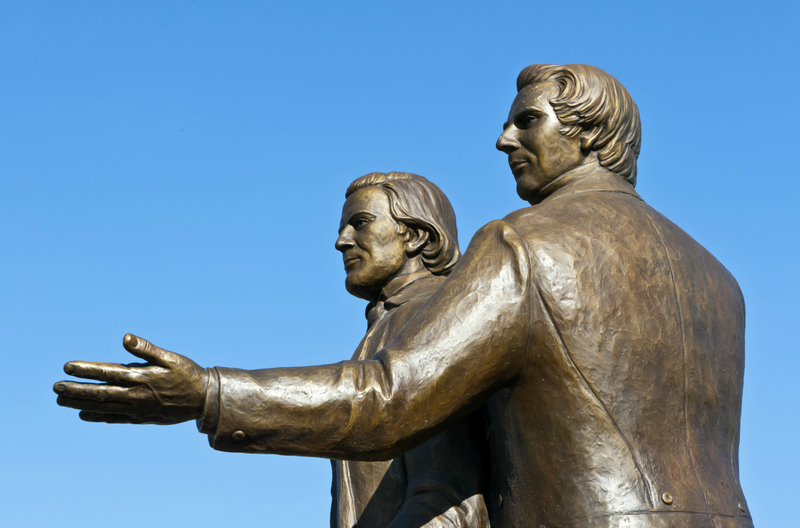 Salt Lake City occupies a key part of the American imagination – a place of freedom, of belief, of the pioneering spirit. Alongside all that heritage, though, there’s a fun and quirky side to the city that’s well worth exploring. Car hire in Salt Lake City will let you experience both sides of this fascinating destination.